REPORT: Movie Shooter Was A Teabagger - Joe.My.God. The man identified as killing two people and wounding nine more in last night’s shooting is John Russell Houser, 59, of Alabama. He’s also known as Rusty Houser, and apparently has a presence on social media as an outspoken conservative. The last thing someone posting as Rusty Houser posted on Facebook was in 2013, when he linked to an article called “A woman’s place in the church and the weak church elder.” He wrote, “The bible doesn’t ask me to like what it says, only to obey it. Death comes soon to the financially failing filth farm called the US.” He only had two things liked on Facebook, among them “I hate liberals!” In addition, a John Russell Houser from Phenix City, Alabama, is listed as a member of a group called the Tea Party Nation. 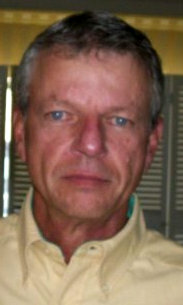 However, KATC could not confirm if this John Russell Houser is one in the same with the shooter.